Crank adapters made specifically for extra thick midplates. 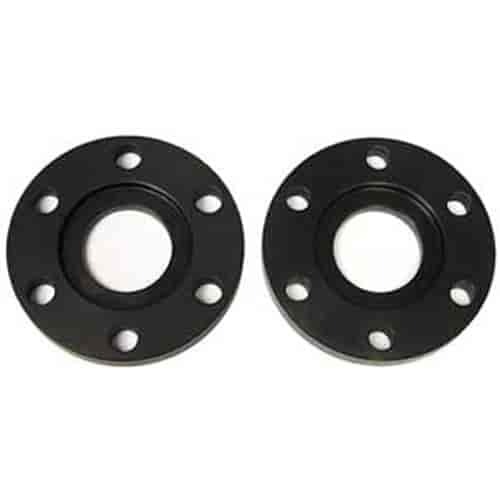 These reinforcing crankshaft adapters bolt on behind the flexplate to extend the pilot 1/2-inch toward the transmission, eliminating extra long pilots on the converter. The ATI Performance Transmission SuperCase features an all new High Performance Powerglide Transmission Case, Bellhousing and Tail Shaft Housing. This 356 T-6 cast aluminum housing has been exclusively engineered to eliminate all the weak points found in the original GM produced Powerglide. Each ATI SuperCase is CNC machined to accept all Powerglide spec replacement parts. It also features a removable bellhousing that is precisely located to a CNC machined diameter and then held securely to the SuperCase with 6 bolts. The SuperCase is SFI 4.1 manufacturer certified with a steel safety liner. The lightweight anti-explosion shield weighs only 29 ounces and no external shield is needed. The bellhousing is SFI 30.1 manufacturer certified with out any external shields needed. NOTE: SuperCase and Tailshaft Housing sold separately.